The answer to that question is both yes and no. 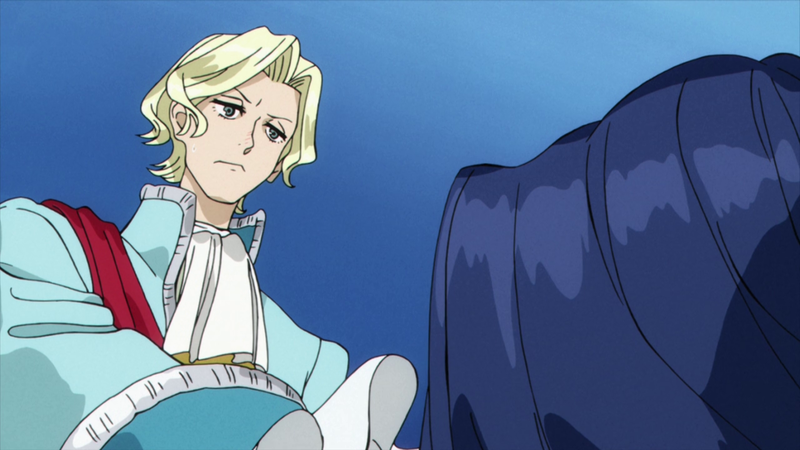 The finale was possibly the most polished episode of the series, with drawings being always on-point as you’d expect with the character designer in charge of the animation direction. You might remember Norifumi Kugai’s sequence around the end of episode 9 that I was personally so impressed by – well, most of the character art in this episode is reminescent of that. Now that the show is over, I can say without a doubt that Kugai did a splendid job adapting Natsume Ono’s work to anime; keeping trademarks of her art style, while also making it more accessible to the general public and feasible to animate. However, what was once again missing from this episode was movement. Similarly to the also relatively static opening sequence, this episode featured contributions of many talented animators whose work normally shines through motion, be it nuanced character acting or spectacular action scenes. 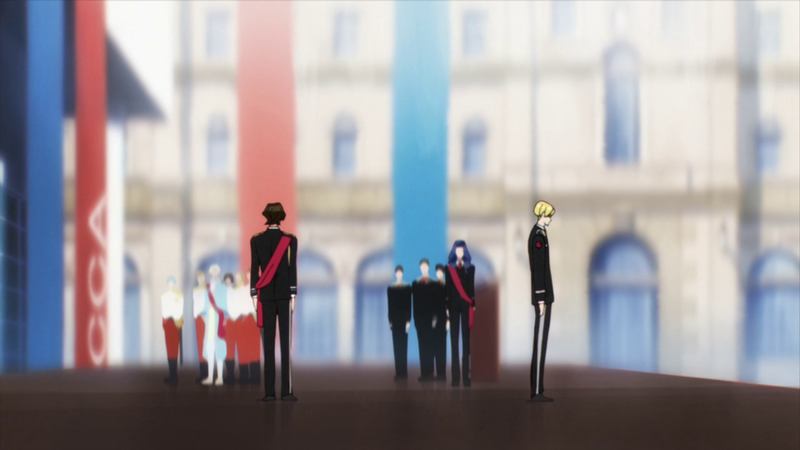 I’m aware ACCA‘s conclusion was, much like the rest of the series, rather calm and didn’t really need flashy setpieces, but the feeling of wasted potential still resides in my mind; both in the sense that the artists involved specialize in something the series didn’t quite deliver, and because there are emotions that are hard to convey with such static approach. The opening can get away with it, but the series not so much. Despite having greatly enjoyed the series, it feels like this crew could have done better if the production realities had allowed it. Shingo Natsume’s work here was highly satisfying. I was especially fond of the numerous contrasting cuts of characters’ faces against the bright blue sky. I bet that this distance shot caught the attention of even viewers who don’t pay all that much attention to the visuals, due to the very distinct use of depth of field. 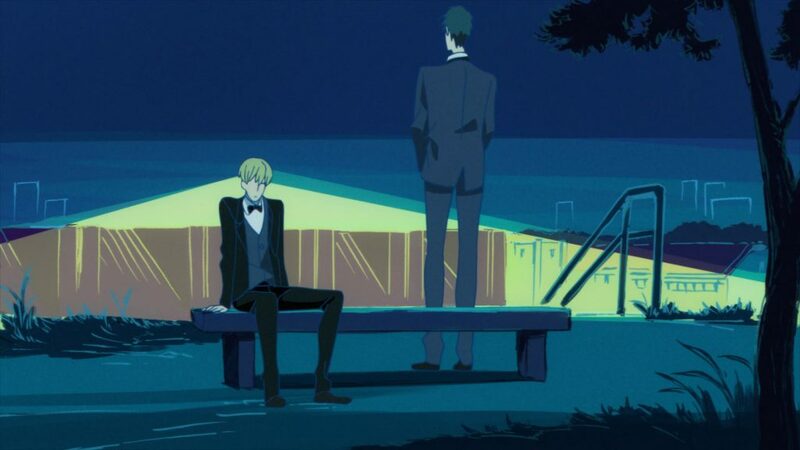 Natsume seems to be really fond of this, to the point of almost merging characters into the stylized, soft backgrounds. Overall, my opinion of his directional skills has improved through this series. 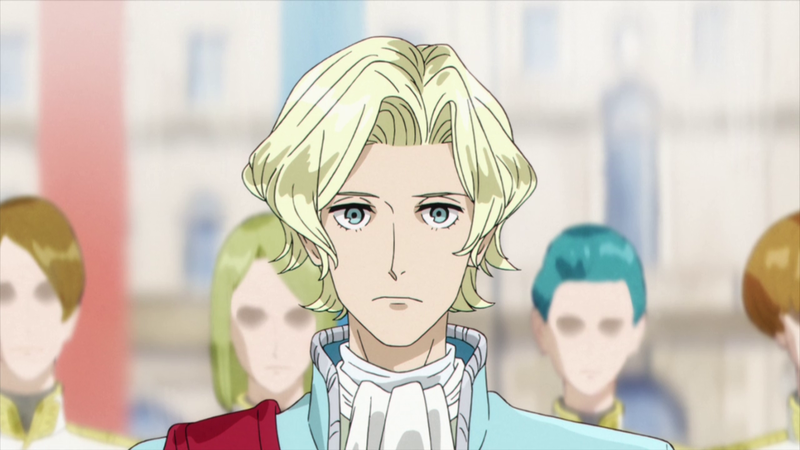 He proved he’s a good storyteller capable of capturing all the different moods a series like this requires, a director who can leave an impact without relying on action scenes and his talented acquaintances to animate them. A very pleasant surprise compared to One-Punch Man, which during its downtime looked downright bland, and seemed to struggle to adapt its charm beyond the exciting action. 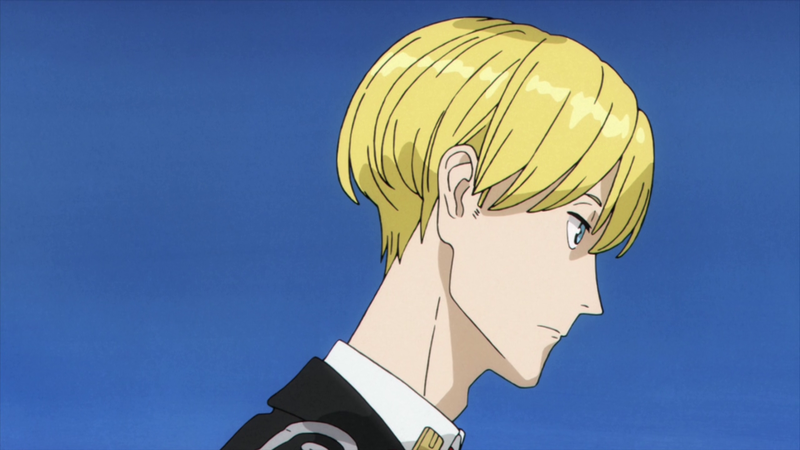 While ACCA wasn’t a consistent impressive production (the five outsourced episodes speak for themselves), it never decayed hard enough to fully cancel out the strong groundwork. And when it was strong, it really was. I’ve regained some of my trust in him and to be honest, it’ll be a bit sad to see Natsume go back to OPM. However, there’s one thing that I have to admit: Yosuke Hatta’s episodes were more to my liking than the ones directly handled by Natsume. Give that man a project! 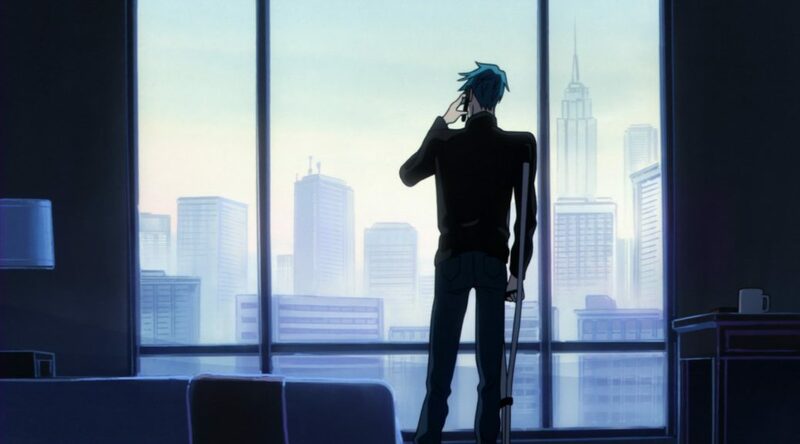 One of the biggest players contributing to ACCA‘s visual flourish was the art director Seiko Yoshioka. I’ve praised her almost every week and for good reason. If it wasn’t for her and the team at studio Pablo, the show would have lost half of its visual personality. That’s by no means an exaggeration, since the show’s various settings are as much of a character as the cast members themselves. This was a demanding project that required them to depict more distinct locations than most 1 cours anime do, and those were all executed with grace – why choose between quantity and quality when you can have both! As it turns out, Yoshioka wanted to work on the show ever since she read the manga. Quite convenient, and another adorable industry tale to boot. Now let’s take a look at the final staff roll. The key players returned for one last time, including the majority of notable recurring key animators. 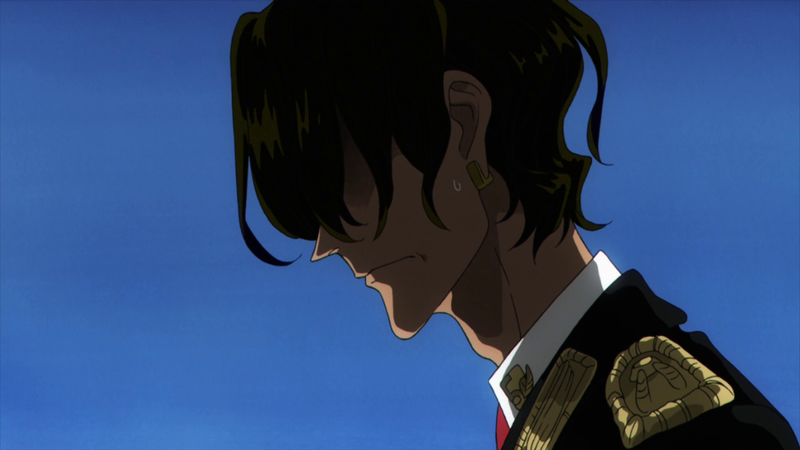 The chief animation director Gosei Oda and character designer Norifumi Kugai shared supervision duties in the finale; I suppose Oda was in charge of some of the later parts of the episode while Kugai handled the rest, including the important podium scene. Big respect to Hidehiko Sawada who worked as a key animator on every in-house episode, except desuran‘s episode 8. My favourite piece of animation was a rather simple moment this time: Abend tearing the envelope with Jean’s transfer request. You can really feel a bit of the strength he had to put into tearing it, as any normal person would do. The very last scene of the episode also moved quite nicely. Overall, I was pleasantly surprised with this show. In fact it was the only series that I started in the winter season and kept up with until the end, which is quite commendable. The uneven production quality was a bit of a letdown, particularly since I felt it dropped from the level it should be at rather than the other way around, but when the show was at its best it was a good treat. Now if only it had more movement! 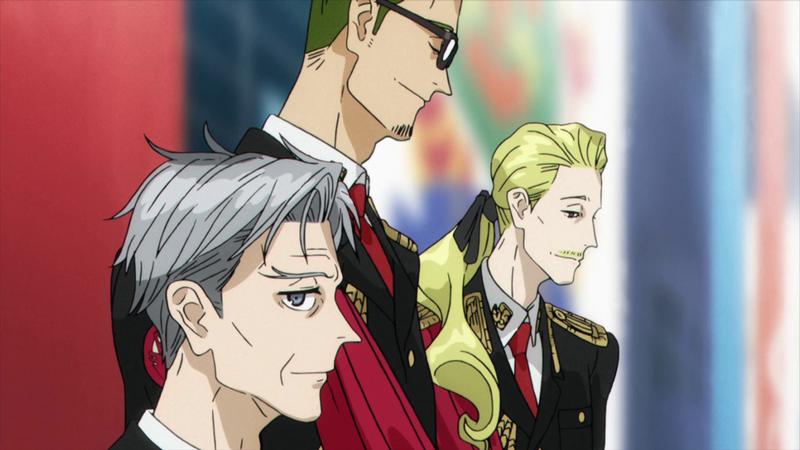 I don’t quite buy the idea that low-key character pieces are alright being static; while ACCA mostly maintained its glamorous flair, it also came off as a bit too stiff at times. Hopefully we will get more expressive motion with my next subject of weekly coverage: My Hero Academia Season 2. See you then!